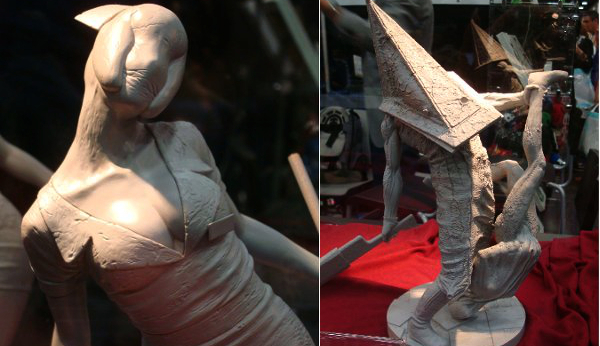 Revealed at San Diego Comic-Con, ToyMunkey Studios in collaboration with Gecco, announced that they will be releasing Silent Hill PVC Statues. Not may details were shown, but our very own Whitney is currently at the con and was able to capture the image above. Of the figures on display were Pyramid Head with a Lying Figure, and Bubble Head nurses. Whitney was able to get a December release time frame from a representative on the show floor as well as a price point of around $150. Further details are said to be revealed on the ToyMunkey Facebook page sometime in the near future.